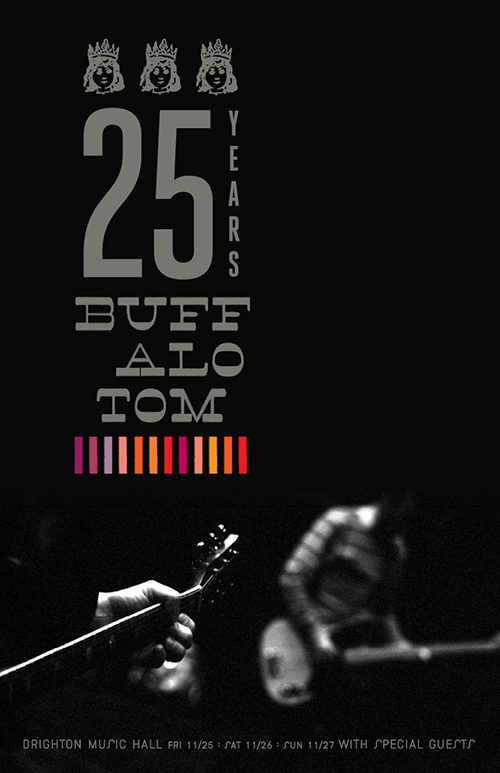 Buffalo Tom celebrates its 25th anniversary with three shows at Brighton Music Hall on November 25, 26 and 27. Shows are pretty much sold-out. I think I got shut out. 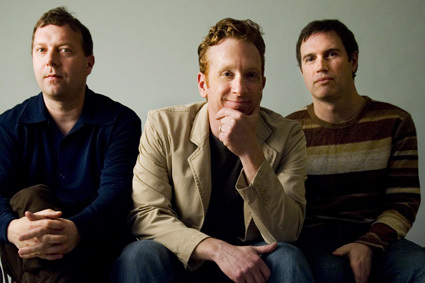 Buffalo Tom is Bill Janovitz [guitar], Chris Colbourn [bass] and Tom Maginnis [drums]. Coincidentally, Buffalo Tom was my first band interview in 1993 when I was in graduate school at the University of Maryland. Can’t believe so much time has gone by. Bill Janovitz kindly took some time to answer some questions. 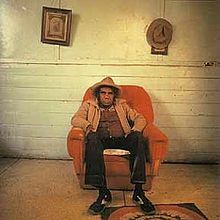 Amy Steele: How do you feel about Buffalo Tom hitting the 25 year mark? Bill Janovitz: Old. But accomplished. Nostalgic. Wistful. Weary. Teary. Beery. Amy Steele:Who helped Buffalo Tom the most? Bill Janovitz: I assume you mean helped along in our career. I would have to say Tom Johnston, our manager all along. Amy Steele: What has enabled you to stay together for so long? Bill Janovitz: I think we are all different types of personalities in many respects. But we are common in some very deep ways, one of which is loyalty — not just to each other, but to others in our lives. We are all part of a big group of friends who date back at least 28 years, some even further back to childhood. But loyalty alone would not be enough to keep an artistic and creative endeavor together all these years. Each of us has broad musical taste, much of which overlaps. And we have more or less shared the same vision for the band. But we also took almost seven years off from writing and recording with each other, only regrouping for isolated shows or short tours. That was time we worked on our side projects, such as our families. Amy Steele: How has the band changed through the years? Bill Janovitz: We have not changed in some very fundamental ways. As with individuals, I would estimate personalities are 90% formed by the time people are adolescent. Using that as an analogy, after the first two records (birth), we hit our adolescence on our middle records, and refined and moved laterally on subsequent recordings. We kept getting better as a live act, though. I see clips from the 1990s and clips from last year and think we are at least as good live as we were then, but I think we might be better musically. Maybe not. Amy Steele: When did you think you had really made it? Bill Janovitz: Not sure what “made it” means to you. But there were little goal posts all along: getting our first headlining gig; hearing ourselves on the radio; touring Europe and playing big halls; being able to quit my day job; playing at Reading twice; getting enough money to buy a house; jamming with Mick Jones… These were all dreams come true. It was more of a struggle when we leveled off and started a descent around 1998. Everything had felt like momentum forward or upward until that time. Then it all started to turn. Amy Steele: When did you know that it wasn’t going to be your full-time thing? Bill Janovitz: Around the same time as above. When we realized we could still make a decent living at it only if we stayed on the road. None of us wanted to do that after 10 years of it. We had kids that we wanted to see. being part of that era? Bill Janovitz: It was really the late ’80s-very early ’90s where it felt like a Boston thing. When Nirvana broke through in 1992, though, it really felt more like an international alt rock thing, with all kinds of great bands being considered mainstream. That had been the first time since the 1970s that I felt like I had a good chance to put on the radio and hear a song I loved. It was so nice making friends with other musicians from around the country and world — Bettie Serveert in Holland; Pavement; Belly; Teenage Fanclub from Scotland; our Beggars Banquet label in London; Died Pretty, You Am I, and Smudge in Australia; The Verlaines in New Zealand; Superchunk; Dinosaur Jr.; and so on. I truly think it was a great time for music. All of those records still are a pleasure to listen to. Amy Steele: Many bands and artists left Boston for New York or Los Angeles, did you ever consider that? Bill Janovitz: Until we formed Buffalo Tom in 1986, I had always assumed I would end up in New York, as that’s where I grew up (Long Island) and had some old friends. I still love the city. But things with Buffalo Tom started happening and I love Boston as well. We all thought it made the most sense, since we had sort of established ourselves as we were graduating. Now, I can hardly see myself anywhere else. I feel very grateful that we were in one of the right places at the right times for what we were doing. My friends in NY had a very hard time getting going. It had been easier in that city in the early 1980s, but by the middle of the decade, it was an expensive place to live and try to be a band, with surprisingly few venues for a city that large relative to Boston. I always thought LA was unfairly slagged. We were there for a couple of months during the making of Big Red Letter Day and I really enjoyed it. I feel like I could still be making a living doing music if I were there, scoring, soundtracks, etc. Not sure if that would be better, though. Seems like the grass is greener. I hear almost nothing but nostalgia from most people who have left Boston to live there. Amy Steele: What are your top three tour highlights? Amy Steele: What’s the best part about being in Buffalo Tom? Bill Janovitz: The musical chemistry and having an outlet and a platform for our music/musings. Amy Steele: What should fans expect at the anniversary shows? Bill Janovitz: Old numbers; guests; animal acts; jugglers; danceathons.